Don't just Watch or Talk Baseball come play in the NWIBL Register NOW! Our wood composite bats look, feel and sound like wood bats because they ARE wood bats. The Ultra Has a 120 day warranty and is Bone Rubbed for Maximum Hardness which makes it ideal for all hitters. Register now to be on a summer team (teams are also welcome). 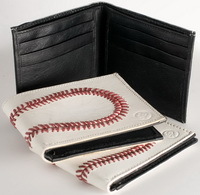 Ron Polk's Baseball Play Book Information on How to Play and Manage the Game of Baseball! What you don't know will hurt you! NWIBL Teams Play at the Salem-Keizer Volcanoes Stadium in 2015. You can come play starting May 2016 for the Northwest Independent Baseball League this summer in Portland, come see over 200 games played by the best local ball players . The Northwest Independent Baseball League has 18 teams playing 200 hardball games in local stadiums. Summer 2018 Registration More about Portland Baseball. Your hear about baseball on the radio, you read about it in the newspaper, you see it on TV, and now you can play Competitive wood bat baseball in local stadiums….Get your glove and dust off the cleats….Come join the award winning Northwest Independent Baseball League, we are the fastest growing 18 and older baseball league in the Portland, Beaverton, North Marion, Keizer, and Vancouver area, competitive Baseball players come from over 100 local communities and colleges to play Portland Summer League Baseball in the Northwest Independent Baseball League. for 2016 Don't just Watch Baseball come play in the NWIBL Register NOW! 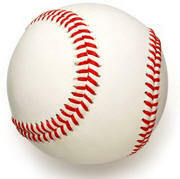 Do you play or have you played Baseball in the past? Are you local or new to Portland or Vancouver? Are you local or new to Portland or Vancouver Baseball Community? Wood Baseball Bats...Real Baseball for those who want to play the baseball way! Join NWIBL for the JDRF One Walk on September 24th 9:00AM at Portland Raceway. Your hear about baseball on the radio, you read about it in the newspaper, you see it on TV….Get your glove and dust off the cleats….Come join the award winning Northwest Independent Baseball League, we are the fastest growing 18 and older baseball league in the Portland, Beaverton, North Marion, Keizer, and Vancouver area (players come from over 100 local communities and colleges to play Summer Baseball). The Northwest Independent Baseball League (NWIBL) offers you a place to play your game with passion. Each of the 18 teams average 15 players, plays a 20 game season on weeknights and weekends, mid May to the end of August. Choose your division: The Columbia, a very competitive heads up style of baseball or the Willamette, with traditional Adult baseball teams that are able to play and win against any team in the league. Again this season players will have an opportunity to be scouted when teams play games Keizer Volcanoes (Giants A-Ball) Stadium. 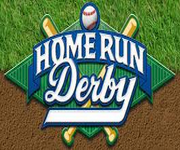 The NWIBL has a league All-Star Game and Home Run Derby, Monday Night and Holiday Pickup Baseball Games. The season climaxes with a grueling 2 week city wide double elimination City Championship Series. 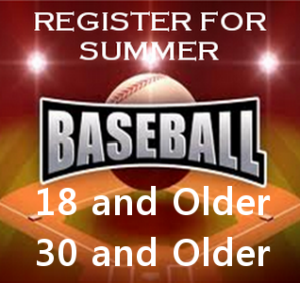 Sign up now for Summer Baseball Season. If you go to school at any of these colleges register here to play baseball or call about being placed on a team. If you played Baseball in Australia, England, Canada, Netherlands, Latin America, Cuba, South Africa, England, China, Japan, Mexico, Taiwan, Korea an want to play register here to play baseball .